Was at the Phillies game last night. 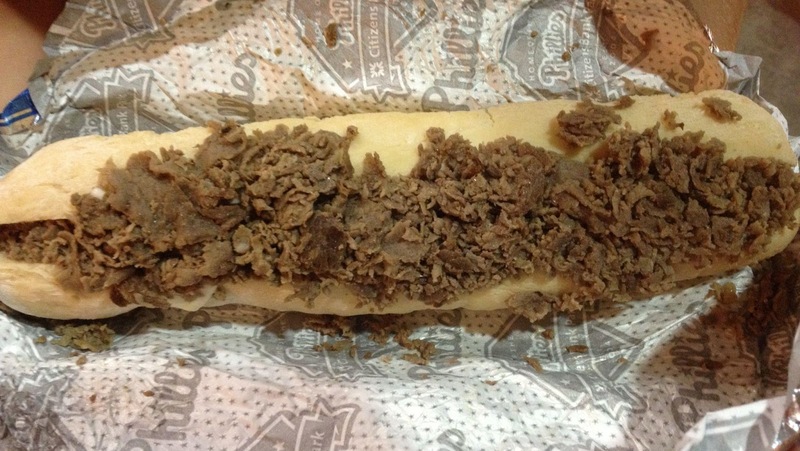 Cheesesteaks are already "Outa here". I was at the right stand 'cause everyone knew of the GF rolls for cheesesteaks... but I simply received a "Sorry we dont have them anymore". My polite "Anymore? Did you even have them a week". They sent me to the 128 stand to see if they had them... I am very familiar with the stand as its the GF Hot Dog stand, and I already knew there wasn't a grill for cheesesteaks over there. But I tried... no luck. So the Phillies weren't lying as you have proven they had the GF cheesesteaks/rolls. But they never said how many they would have! I give Aramark and the Phils a TON of appreciation for having the options that they do... but this was very disappointing. @Mark - I will let them know what happened.